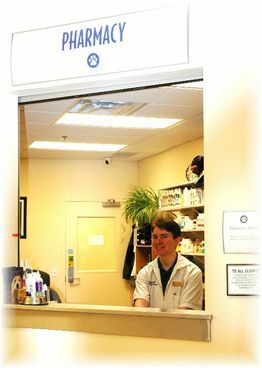 facility has everything needed to ensure the best animal care possible! 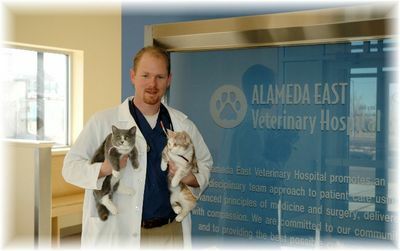 The health of our feline family means so much to us that we exclusively use the services of Alameda East Veterinary Hospital. 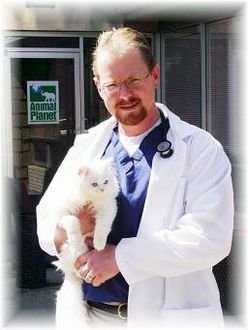 Dr. Steen personally examines each and every one of our breeders and kittens. 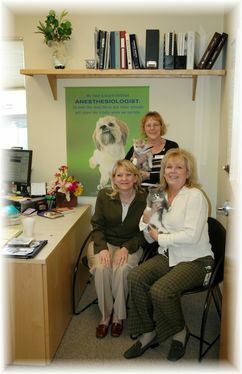 He is the proud parent of our "Bou Babies" Smoky and the Bandit as well! 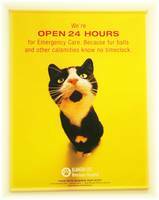 All kittens adopted from Boutique Kittens are vaccinated and health checked by Alameda East. 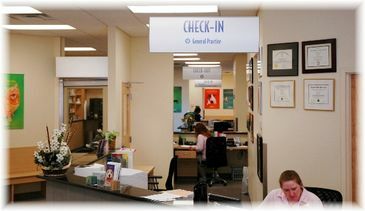 When you receive your newly adopted "Bou Baby" they will come with a health certificate from Alameda East assuring you that your new kitten has received the best medical examination available. If you want to know that your new baby is receiving the best care available, then do not settle for anything less than a Boutique Kitten! Click the link below to read more about Alameda East!